Bob Crawford helped Chicagoans stay in the know about politics and government for more than 40 years, covering 20 national political conventions, 10 presidential elections, seven Chicago mayors, a number of governors, the release of the American hostages from Iran and preparations for the Ronald Regan White House. Crawford started his professional career in Peoria, Ill., and got his big break in 1967 when the Richard Speck trial was moved there from Chicago. His work covering that trial later landed him a spot on Chicago’s WBBM-AM when that station began its pioneering all-news format. Despite his array of reporting accomplishments, Crawford is best known for his work at Chicago’s City Hall. 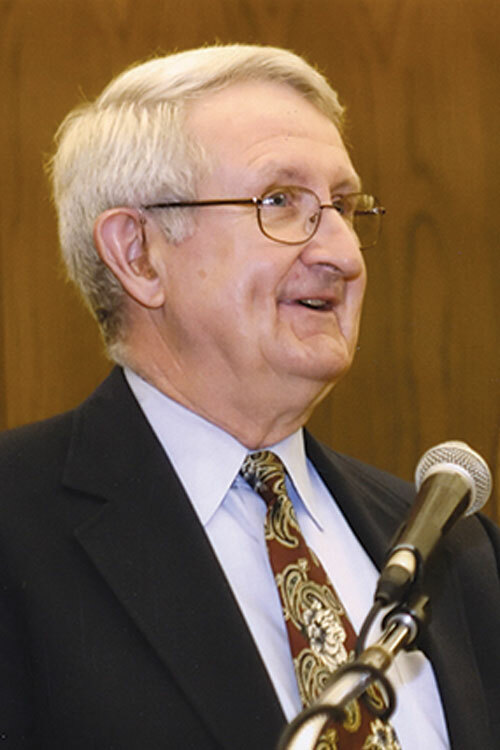 Until his 2001 retirement, Crawford was the dean of City Hall reporters. “His overarching perspective on the city’s history and his authoritative delivery have been invaluable to listeners — and, in many cases, to those of us honored to be among his competitors. Bob maintains a near-perfect balance for a reporter: Always polite, his questions nevertheless relentlessly have sought truth from the powerful,” wrote fellow WPGU alumnus and Chicago journalist Charlie Meyerson. Crawford was also known for helping fledgling City Hall reporters, providing “a friendly face and encyclopedic knowledge” and offering a great role model of what a political reporter should be. In 1995, Crawford was inducted into the Chicago Journalism Hall of Fame. Although Crawford retired from his full-time position at WBBM, he continues as the station’s political editor emeritus. He also contributes political analysis on WBBM-AM and Chicago Public Radio. He frequently appears on WTTW-Channel 11 program, Chicago Tonight. This bio was written at the time of Robert Crawford’s inauguration into the 2007 Illini Media Hall of Fame.